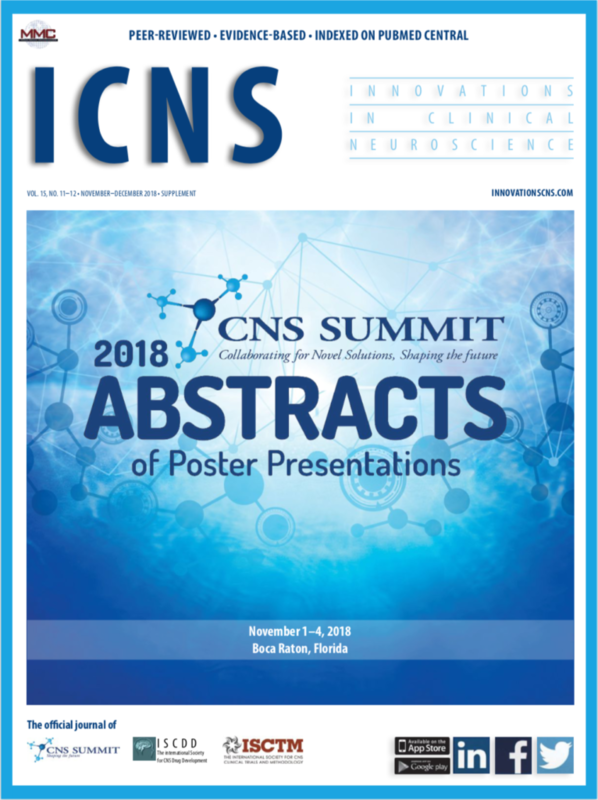 All content published by Innovations in Clinical Neuroscience (ICNS) or any of its associated publications, digitally and in print (including but not limited to its website, e-editions, e-newsletters, emails, App, PDFs, and reprints), is protected by copyright, which is held by Matrix Medical Communications, LLC (MMC) in West Chester, Pennsylvania. All rights reserved. Distribution, reproduction, or adaptation of any content published by MMC, in part or in full, in electronic or print form, in any way, including but not limited to via email or traditional mail; via electronic storage device; at educational, academic, or commercial events (including but not limited to handouts or in slide presentations); or via digital posts in any form (including uploaded documents or images or posts submitted via content management systems) on any inter- or intranet site (including but not limited to sites owned by authors, academic or medical institutions, libraries, or commercial entities) is strictly prohibited, regardless of purpose or audience unless express written permission from the publisher is obtained (fees may apply depending on usage/purpose). Permission to reproduce figures, tables, graphs, or excerpted text, regardless of requester or purpose, and access to single-use copies of articles may be obtained from Copyright Clearance Center (http://www.copyright.com) (fees may apply, depending on usage). Content may not be edited, revised, or abridged and must give full acknowledgment to the original source. Article reprints (minimum 100 copies) and e-prints are available for purchase. Contact editor for pricing. Please see Disclaimer and Privacy Policies for additional information regarding this website.